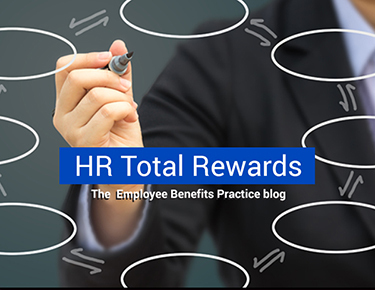 Attracting and retaining the best talent depends on your organization’s ability to provide competitive compensation and benefits. You must respond to new laws and constantly changing compliance obligations, both of which impact your internal and external processes and procedures. You need know what to do when the Internal Revenue Service (IRS), Department of Labor (DOL), Pension Benefit Guaranty Corporation (PBGC) or another governmental agency comes knocking at your door and, more importantly, how to avoid their scrutiny in the first place. Saul Ewing Arnstein & Lehr’s employee benefits and executive compensation attorneys know how to navigate this complex landscape. They will keep you up-to-date with the myriad of new rules and help you design practical arrangements. As members of the firm’s Employee Benefits and Executive Compensation Practice, they understand the laws governing employee benefits and executive compensation and can provide practical advice – in plain language. Whether representing plan sponsors, fiduciaries, plans, insurance companies or third-party administrators, they can explain potential risks and help you make informed decisions. This team of lawyers provides day-to-day counseling and compliance assistance with respect to ERISA and the Internal Revenue Code (IRC ) to employers in a wide variety of industries, including health care, higher education, manufacturing, and food and beverage, and to tax-exempt entities. They regularly represent clients before regulatory agencies, including the IRS, DOL, PBGC, and the Office for Civil Rights of the Department of Health and Human Services (HHS). In addition to the team’s extensive experience working on employee benefits and executive compensation issues in mergers and acquisitions and bankruptcy, the breadth of the practice includes tax-qualified pension plans (including multiemployer pension plans), tax-deferred annuities and custodial arrangements under Code §403(b), group health and welfare arrangements (including the Affordable Care Act and HIPAA privacy and security), equity-based compensation, and deferred compensation plans subject to Code §§ 409A and 457. Saul Ewing Arnstein & Lehr’s employee benefits regularly work with C-Suite officers and Boards of Directors, Board Committees, as well as in-house counsel, risk managers, chief financial officers, benefit professionals and human resource personnel. Fellows of the American College of Employee Benefits Counsel are selected by the College's Board of Governors from among employee benefits attorneys nominated for that honor and recommended for consideration by the Board's Membership Committee after considering the recommendations of regional screening committees.